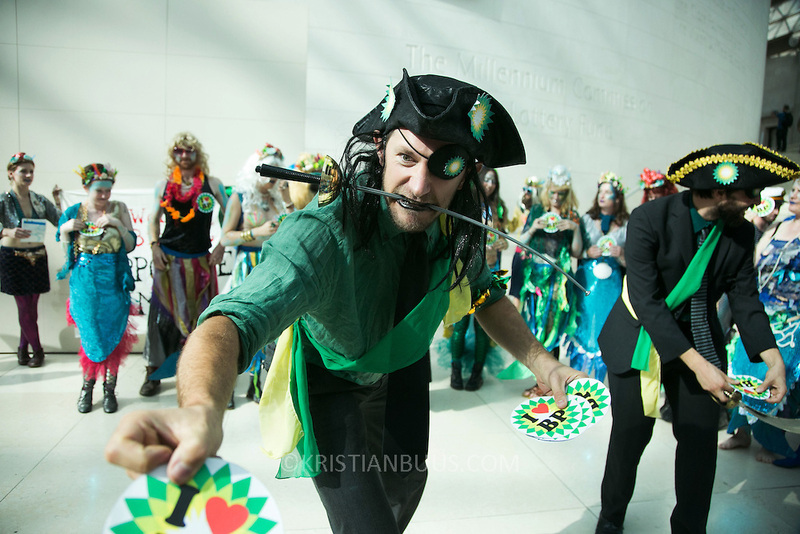 Bp-or-not-BP stage a splash mob art intervention at the British Museum in protest against the continued BP sponsorship of the exhibition 'Sunken Cities' 25th of September 2016. A flock of merfolk and BP pirates roamed the museum as well as a kraken, a giant sea monster. The merfolk all advocate more oil exploration and more climate change to raise the sea levels and make their life better.